The reliance on hard drives is quickly being substituted for the reliance on cloud services, with millions of people now preferring to use iCloud instead of a standard USB flash drive. According to experts, virtual storage is more secure, more reliable and more accessible. But, is Apple's iCloud as perfect as you may think? 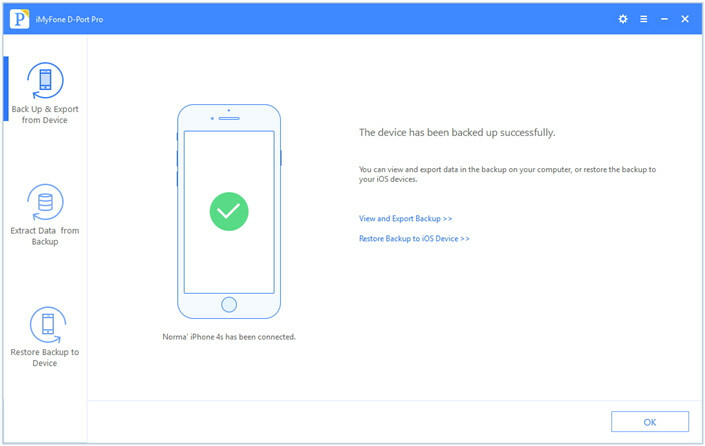 Can I Back Up iPhone to iCloud on Computer? 1. Can I Back Up iPhone to iCloud on Computer? Well, the answer is no, because unfortunately there isn't a function which empowers you to back up your iPhone straight to iCloud on computer. At first, it may seem like there's an option to do so, but there categorically isn't. You see, users will go through the typical method of connecting their device to their computer, opening up iTunes and trying to select iCloud as the destination. However, once you try to progress through the procedure, you'll quickly realize that it just isn't possible. When you hit 'Back Up Now', it will send all of your data to your computer, instead of sending it to iCloud like you desired. And you just cannot back up your important data on iPhone to iCloud on computer! Believe us, we know how frustrating it can be, but there are alternative routes that you can take to back up your iPhone to cloud storage. So, if you want to use cloud storage on your computer, but are infuriated at the inability to use iCloud, then you can always use a different cloud service. There is abundance of them these days, and they all offer pretty much the same thing, in slightly different ways. The finest pick of the bunch is going to be the likes of Dropbox, OneDrive and Amazon Cloud Drive. However, there's plenty of downsides to those too. Generally, they will offer you very limited storage space, which isn't beneficial if you need to backup your iPhone. Secondly, the process of using them to back up your iPhone is very complicated, which may cost you a lot of time. Oh, and if you do manage to back it up, they don't offer the chance to view the data. Therefore, why not try an even better method? 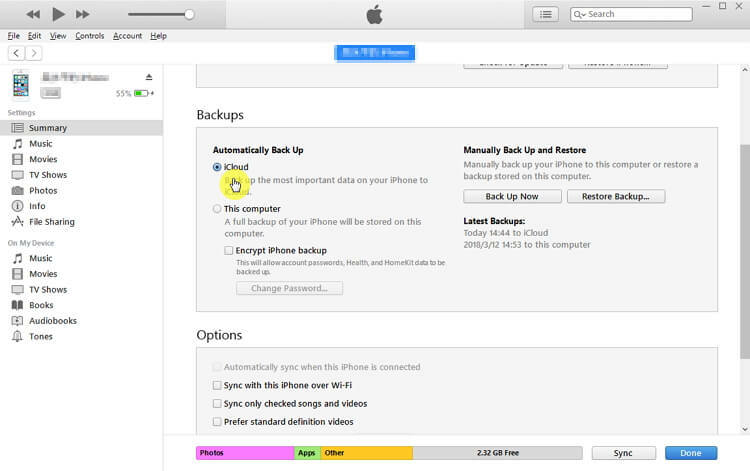 Every time you make a new back up, it won't overwrite or affect any previous backups on your computer (iTunes and iCloud can't do this). Allows you to back up messages/iMessage, WhatsApp and WeChat data only on iPhone. You can back up the data necessary and ignore those you don't need. It's very user-friendly, which means even those who aren't well-versed in technology will be able to use it easily. It is compatible with various iOS devices and iOS versions, including the latest iPhone X running iOS 11.3. How to Back Up iPhone to Computer via D-Port Pro? 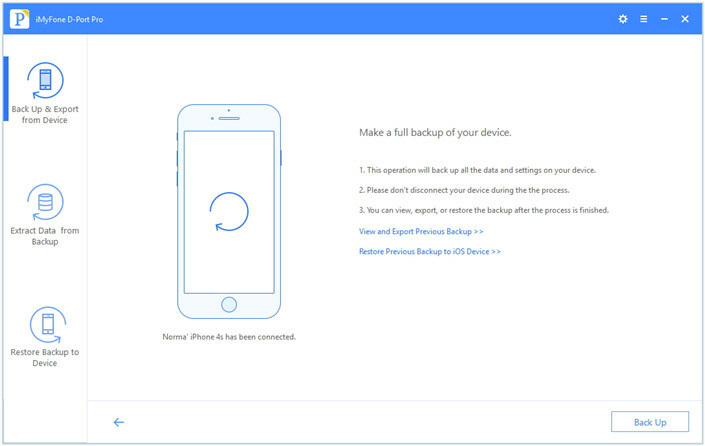 1) Enter the application, hit 'Back Up & Export from Device' on the left-hand side, then choose 'Make a Full Backup'. 2) You'll be taken to another screen which highlights aspects of the backup, but all you need to do is click 'Back Up' at the bottom. 3) The software will then back up your iPhone, and then you can view and extract data in the backup once it's complete. 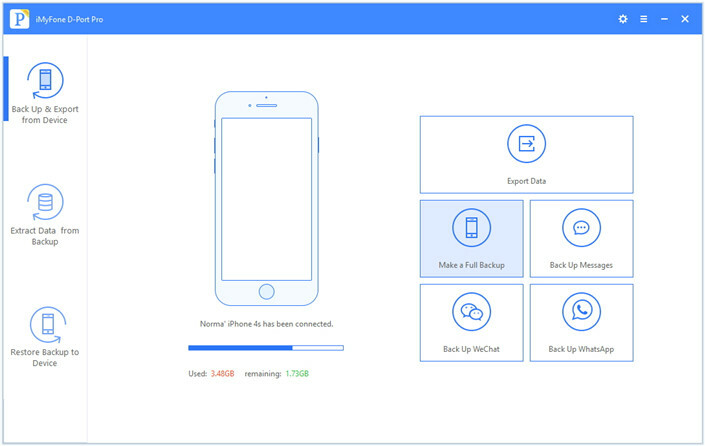 At the moment, users are only able to back up the whole device or only messages, iMessage, WhatsApp or WeChat if they want to backup certain types of data on iPhone using the iMyFone D-Port Pro software. But, don't worry, because a multitude of new data types are coming SOON in future updates! Ultimately, you'll find plenty of alternative options when iCloud doesn't satisfy your needs, but they all come with some sort of strings attached. Whereas, with iMyFone D-Port Pro, you get plenty of amazing features without any extra charge to back up your iOS device to computer, even iOS 11.3 is running on it! Download the free trial and back up your iPhone now!